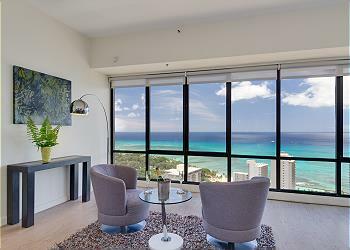 PLEASE NOTE: From Monday, June 17, 2019 through Sunday, June 23, 2019, the building’s air conditioning system will be turned OFF for approximately 7-10 days during the install of a new system. 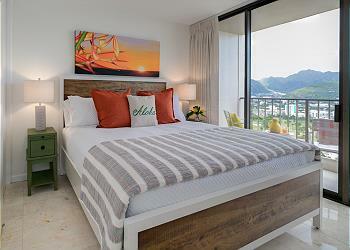 As this project is subject to delay or change, compensation will be provided to guests during stay instead of pre-stay. 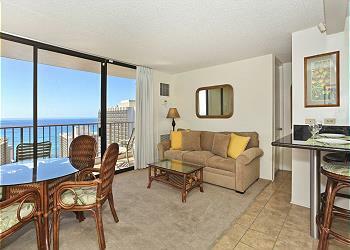 Captain Cook Resorts condos at Waikiki Sunset are just a short walk to world famous Waikiki Beach where you will find some of the finest swimming and surfing on the island. 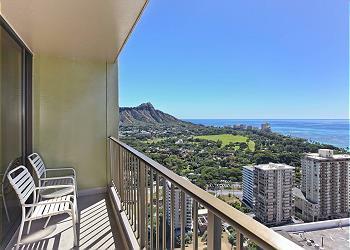 The Waikiki Sunset condos have ocean, Diamond Head or mountain views, offer central air conditioning, full kitchens and private lanais. 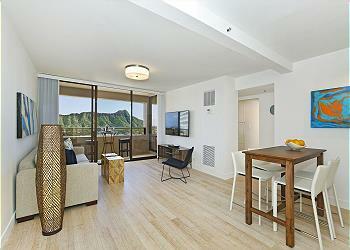 There are coin operated washers and dryers on each floor. 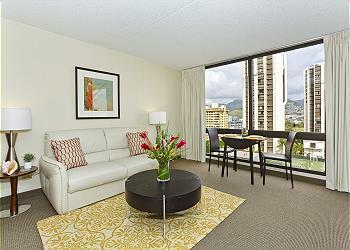 All Captain Cook Resorts Waikiki Sunset properties offer FREE WiFi and FREE parking! 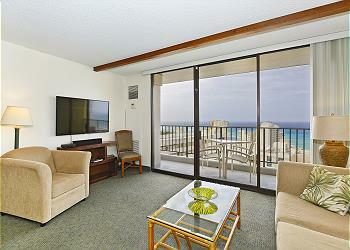 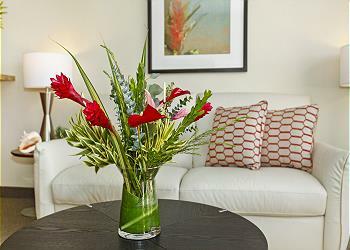 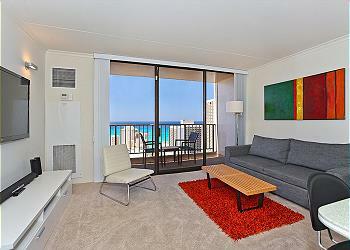 Captain Cook Resorts Waikiki Sunset vacation rental properties are great for families or couples. 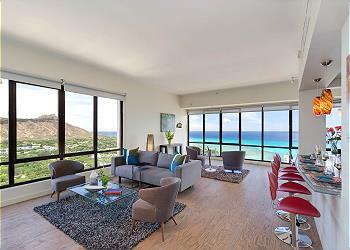 The building has a large 6th floor recreation deck with NEW Fitness Center, swimming pool and lighted tennis courts, BBQ grills. 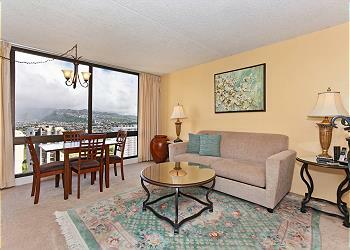 Activity desk in lobby, laundry facilities each floor, free parking, free high speed/WiFi internet access in your condo. 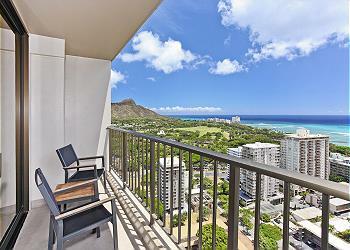 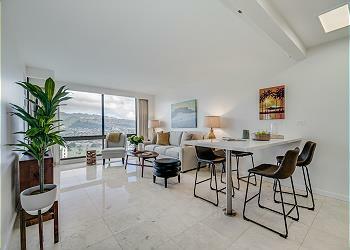 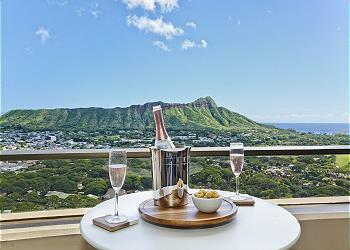 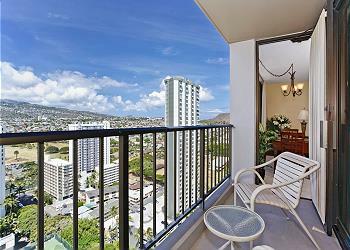 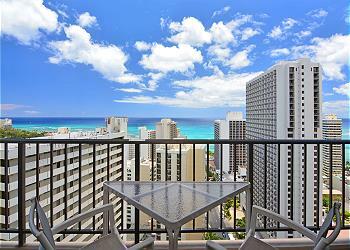 Waikiki Sunset are sought after properties and Captain Cook Resorts Vacation Rentals offers many from which to choose.